Jack Nichols was born in Quantico, Virginia, and grew up in Charlotte, N.C. He has lived in Raleigh since 1978. He concentrates on public policy development and advocacy, administrative law, and civil litigation. His practice is augmented by his extensive government service, including elective office to the Board of Commissioners (1990-1994) of Wake County, the state's second largest county. 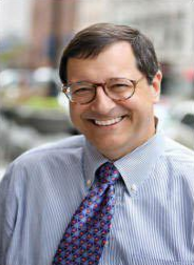 He has taught Administrative Law and Constitutional Law at the University of North Carolina at Chapel Hill and Campbell University School of Law. He served as Deputy Legislative Liaison for Governor James B. Hunt, Jr., from 1983-1985, and worked in state government from 1978-1985 as legal counsel to the Secretaries of Administration and Human Resources. Mr. Nichols represents ten state occupational licensing boards, and he has also represented clients before regulatory bodies such as the North Carolina Utilities Commission, North Carolina Banking Commission, North Carolina Industrial Commission, and the State Personnel Commission. Mr. Nichols has been recognized by Best Lawyers in America in Administrative Law since 2006 and as a "Super Lawyer" in North Carolina Super Lawyersince 2006. Mr. Nichols has also been recognized by North Carolina Lawyers Weekly as a 2014 Leader in the Law. 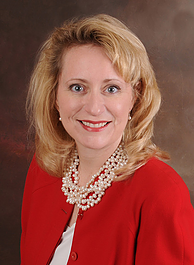 Serves as general counsel for N.C. Board of Nursing, N.C. Social Work Certification and Licensure Board, N.C. Board of Architecture, N.C. Board of Funeral Services, and N.C. Board of Opticians. Serves as general counsel to numerous nonprofit boards, including Planned Parenthood Health Systems, Wake County SmartStart, North Carolina Association of Educators (NCAE), N.C. Medical Society, N.C. Foundation for Public School Children, and Foundation for Nursing Excellence. Represented clients before numerous occupational licensing boards including N.C. Real Estate Licensing Commission, N.C. Board of Pharmacy, N.C. Board of Psychology, N.C. Board of Licensed Professional Counselors, N.C. Board of Massage and Bodywork Therapy, N.C. Board of Occupational Therapy, N.C. Board of Examiners for Engineers and Land Surveyors, and N.C. Board of Plumbing, Heating and Fire Sprinkler Contractors. Represented N.C. Board of Dental Examiners against the Federal Trade Commission (FTC) in In the Matter of N.C. Board of Dental Examiners, Docket No. 9343. Represented clients in over 100 hearings of the Office of Administrative Hearings. Counsel of Record in over 60 appellate cases. Litigated employment cases involving sexual harassment, EEOC claims, retaliation, and whistleblowers. Litigated commercial cases involving Unfair Trade Practice claims, violation of non-compete agreements, violations of the N.C. Trade Secrets Act, professional defamation, and product disparagement. Publicly elected member, Wake County Board of Commissioners, 1990-1994. Chair, N.C. Bar Association Administrative Law Section, 1994-1995; Membership Services Committee, 2000-2002. Regular presenter at Council on Legislative, Enforcement and Administration Regulation (CLEAR). Co-Founder and legal counsel for Planned Parenthood of Greater Raleigh. Co-Founder, board chair, and legal counsel Wake County SmartStart. Scoutmaster and Eagle Scout, Boy Scouts of America, Occoneechee Council. President, Occoneechee Council, BSA, 1997-1999. Member, Wake Medical Center Board of Directors, 2009-2014. Recognized as a Super Lawyer by North Carolina Super Lawyers. * CV, BV and AV are registered certification marks of Reed Elsevier Properties Inc., used in accordance with the Martindale-Hubbell certification procedure's standards and policies. 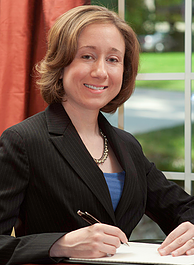 Catherine E. Lee's legal practice focuses on employment law, administrative law, civil litigation, and contract disputes, with an emphasis on matters involving state occupational licensing boards and public employment. Ms. Lee was born in Raleigh, North Carolina. A graduate of the University of North Carolina at Chapel Hill, Ms. Lee received a Bachelor of Arts in English and Political Science with highest distinction in 2003. She attended law school at The University of Texas School of Law, where she received her JD with honors in 2006 and served as Co-Editor in Chief, Texas Journal of Women and the Law (2005-2006). A member of the North Carolina Bar Association and the American Bar Association, in 2009, she received the N.C. Bar Association's Charles F. Blanchard Outstanding Young Lawyer Award. She served as a N.C. State Bar Delegate to the ABA's House of Delegates from 2009-2011, and has served as the Division Director and Secretary for the Young Lawyers Division of the N.C. Bar Association. Member of the North Carolina Bar Association Board of Governors, 2015-2018. Secretary for the Young Lawyers Division of the N.C. Bar Association, 2014. N.C. State Bar Delegate to the ABA's House of Delegates from 2009-2011. Member of the N.C. Bar Association Administrative Law Section Council. N.C. Bar Association's Charles F. Blanchard Outstanding Young Lawyer Award, 2009. Recognized as an outstanding young lawyer since 2012 by inclusion on the North Carolina Super Lawyers Rising Stars list, which selects not more than 2.5 percent of North Carolina attorneys based on their high peer recognition and professional achievement. Anna Baird Choi is a native of Raleigh. She graduated from the University of North Carolina at Chapel Hill with degrees in Economics and Political Science in 1990 and earned her law degree from Campbell University in 1994. Her practice focuses on administrative law and regulatory law. She served as the first law clerk at the N.C. Office of Administrative Hearings (1994-1997) and as Assistant Attorney General in the N.C. Department of Justice (1997-2000). Since 2002, Ms. Choi has served as counsel to the N.C. Licensing Board for General Contractors. She advises the General Contractor's Board and eight other occupational licensing boards represented on all matters including licensing, minimum qualifications, rulemaking, disciplinary actions, and personnel issues. Additionally, she represents individuals and businesses before other N.C. licensing boards and agencies. Representative professions and businesses include: real estate brokers, plumbers, psychologists, licensed professional counselors, pharmacists, retail pharmacies, and licensed child care facilities. Ms. Choi currently serves as a Commissioner on the N.C. Rules Review Commission. She is also the former Chair for the Administrative Law Council of the N.C. Bar Association. Counsel for the N.C. Licensing Board for General Contractors, N.C. Board of Nursing, N.C. Social Work Certification and Licensure Board, N.C. Board of Examiners for Nursing Home Administrators, and N.C. Board of Funeral Services. Represents clients before numerous occupational/professional licensing boards including N.C. Real Estate Commission, N.C. Board of Pharmacy, N.C. Medical Board, and N.C. Board of Plumbing, Heating and Fire Sprinkler Contractors. Represents child care centers before the N.C. Division of Child Development. Serves as independent hearing officer in personnel grievances filed by State employees. Tenth Judicial District Bar and Wake County Bar Association Board of Directors, Member, 2015-present. N.C. Bar Association, Administrative Law Section Chair, 2013-2014. N.C. Rules Review Commission, Commissioner, 2012-2014. Helene Foundation, Board Member, 2013-present. Marbles Kids Museum, Board of Directors Member, 2007-2012. N.C. Society Daughters of the American Revolution, State Parliamentarian, 2009-present. Wake County Courthouse KidsCenter, Board of Directors Member and Board Secretary, 2000-2004. Wake County Commission for Women, Commissioner, 2002-2003. Capital City Clauses, Board of Directors and Board Treasurer, 1999-2001. Listed with Best Lawyers as one of only 13 North Carolina lawyers in the Administrative Law practice area.